Motion Twin's hit indie roguevania title Dead Cells is receiving its long-awaited free DLC update today, Rise of the Giant. 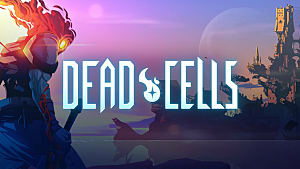 To celebrate the release, Dead Cells will also be 20% off on Steam starting later today. 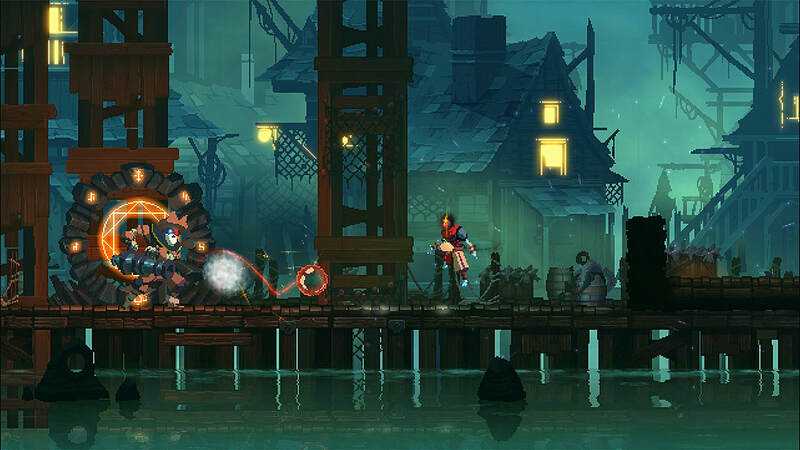 Rise of the Giant includes a wealth of new content. 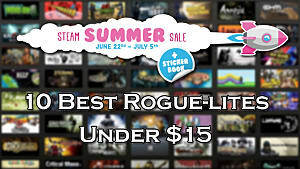 Some of it is unlocked after beating the game at least once, but the rest of it, including new skins, skills weapons, and enemies, is meant for players of all skill levels and experience with the game. That being said, there is a brand-new level, boss, and ending added for the most advanced players that completely changes the story's trajectory. Custom mode can now be accessed after a few runs through the game, but without players having to defeat the final boss. Of particular note is the fact that a large percentage of the changes to the game's balance, design, and interface have come from community suggestions. 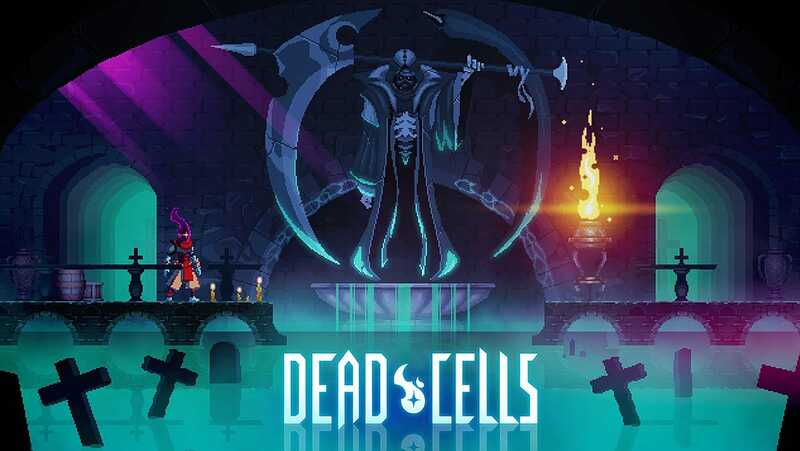 This is Dead Cells' first major update, and it appears Motion Twin is following in Respawn Entertainment's footsteps with its update philosophy: implementing fewer updates with more content based heavily on user feedback. The full patch notes are truly massive and can be found below via Motion Twin. You'll now get access to the Cavern level after you beat the game for the first time. Look for this place inside the Graveyard... 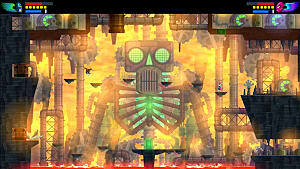 This whole new level is filled with nasty traps, perilous lava pools and violent new enemies. New ways to die! (Community suggestion) Custom Mode will be now unlocked after few runs (no need to beat the final boss anymore). Custom options were adjusted accordingly. A new boss has arrived. Right after the Cavern, you will have access to this epic battle, so be prepared! A new shiny Skinning system was added to the game, giving you access to more than 50 new character outfits. You can unlock by paying for amazing loot boxes in our new Premium Shop using your credit c... Oh wait. No no no. We don't do that anymore. They will just drop as classic blueprints from existing enemies (in higher difficulty modes) and bosses. You might also find a few ones in specific hidden area of the game. You can customize your outfits in the Flask Room. 10 new enemies types were added to the world! Some will wait for you in the Cavern or the hidden level, but many were also added to Hard / Very hard / Expert / Nightmare modes, for your sadistic pleasure. They will gladly bury your face into the ground, burn you to death and slice all your useful organs. 3 new skills, including a flying pet and a single-use scroll that will reveal the current level map. 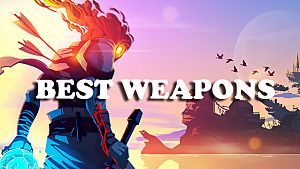 10 new weapons, including the Giant Killer, the Boï Axe or the Thunder shield, for your violent needs. A new Specialist shop replaces the old Hunter Grenade door in Prisoners' Quarters. It's still unlocked the classic way through the Collector shop. You can buy a Hunter Grenade, a Map or a nice shiny skin there. 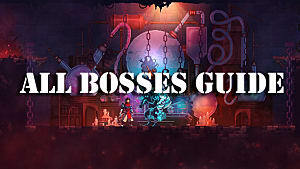 A new complete hidden level was added for very advanced and skilled players to explore (did someone say Boss-Cells 5?). Unveil a whole new ending to your story by beating the crap out of the mysterious big bad guy that awaits for you there... Yes. There is a hidden boss fight too. A new cursed gem might now drop from enemies that will grant tons of gold, but also curse you. [Custom Game] Added an option to let the fountain always available in BC 1 and + (but will lock achievements). The Custom Mode is now unlocked by beating a mini-boss in Prison Roofs. Version 1.2.1. The Legendary Forge gameplay was updated: you can now invest cells up to 100% drop-rate in any rank (+, ++ and S), but you cannot invest in a rank if the previous one wasn't filled completely. Some ranks are also now locked, based on the current Difficulty setting. 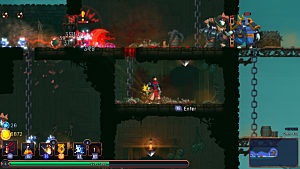 - Nightmare mode:all ranks up to 100%. Version 1.2.2. (Community suggestion) Decreased every mob tiers in BC1, BC4 and BC5. Other difficulty levels (including BC0) remain unchanged. Version 1.2.2. (Community suggestion) Heavy weapons (ie. slow but powerful weapons) have changed. They have unique affixes that will increase their damage, give stun effect or area slow-downs. If you manage to hit your target, it should suffer. Full Malaise will now leave you with ~10% HP max. It will no longer kill you directly. Version 1.2.5. Tactics builds now have slightly less HP at higher levels, while Brutality will get a little more HP. Version 1.2.5. 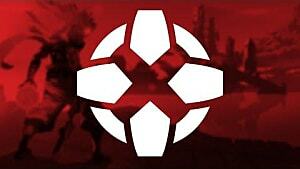 (Community suggestion) New FrontLine Shield which is a Survival/Brutality shield that that gets +X% damage if you recently hit an enemy using a melee attack. It drops in a secret place, somewhere. Version 1.2.6. (Community suggestion) Increased overall player HP. Version 1.2.7. (Community suggestion) Dash shield velocity no longer reduced when hitting breakable props. (Community suggestion) NutCracker no longer removes stun/root/frost when it deals a critical hit. Blueprints dropped by the Hand of the King will now be unlocked immediately, as you pick them (there's no Collector shop behind him). Decoy explosion now creates multiple small bombs. Hero pets should now attack invisible enemies if their invisibility is temporarily suspended. The Purulent Zombie in graveyard now has a whole new gameplay. The Purulent Zombie in sewers now has a whole new gameplay. (Community suggestion) Legendary altars can no longer shield elites. Version 1.2.1. Elite "Cage" skill is now slightly larger but also inflicts slightly more damage. Version 1.2.1. (Community suggestion) Flask refills bought from shops received a permanent 40% discount. Version 1.2.1. (Community suggestion) Mobs will now be locked for a longer time after a BC4 teleportation (no more "instant attack after teleportation"). Version 1.2.1. (Community suggestion) Mob teleportation now interrupts elite skills like "Cage" or "Electric Field". Version 1.2.1. Elite skill "Cage" can no longer charge if the mob can't see the player. Version 1.2.1. The elite skill "Electric field" (similar to shocker skill) now lasts 0.5s instead of 1.5s. Version 1.2.2. Reduced the "+" rank at the Legendary Forge (now 750 cells instead of 1000 cells). Version 1.2.2. (Community suggestion) Ice Shard now has a limited amount of ammo that refills quickly after a short period of time. Version 1.2.2. (Community suggestion) Valmont Whip now has a much larger hitbox, making crits easier to happen. It also no longer locks your controls after an attack. Version 1.2.2. (Community suggestion) Death Orb twice lasts twice longer against enemies before exploding. Version 1.2.2. Ammo +1 affix no longer exists as a normal affix. It can still happen on legendary Boomerang. Version 1.2.2. 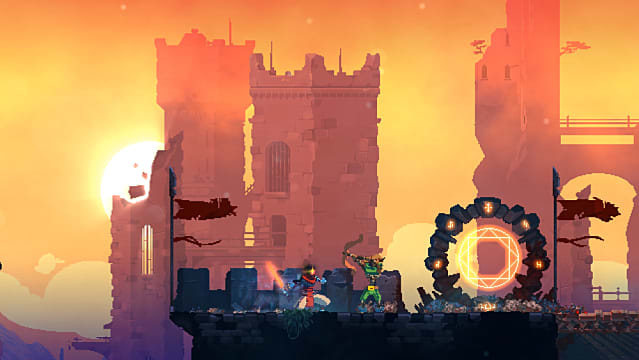 (Community suggestion) Enemies in BC4 have a much shorter aggro range. Version 1.2.2. (Community suggestion) Arbiters can no longer teleport in BC4. Version 1.2.2. (Community suggestion) Reduced a lot aggro distance for many elite mobs (Arbiters, Demons, Inquisitors etc.). Version 1.2.3. HotK no longer drops ammo stuck on him when using its own stomp attacks. Version 1.2.3. (Community suggestion) You can now exit a level even if there are enemies nearby. Version 1.2.3. Damage from the Retaliation affix on Talismans can no longer be blocked by a Shield. Version 1.2.3. (Community suggestion) Dead Inside mutation now increases your Malaise limit. Version 1.2.4. Tainted Flask mutation now grants you a Malaise immunity for a few seconds when you use a healing flask. Version 1.2.4. New Melee mutation (it completely replaces the old one): it now slows down enemies hit for a short duration and prevents getting any Malaise infection from them for 2 sec. Version 1.2.4. (Community suggestion) Nerves of Steel now has 4 ammo instead of 6. Version 1.2.4. Necromancy mutation now reduces Malaise infection when killing elites and bosses. Version 1.2.4. (Community suggestion) Bleed, poison and fire DoTs can no longer interrupt enemy attacks. Version 1.2.4. (Community suggestion) Death Orb now inflicts enough total damage to kill multiple enemies in most levels. Version 1.2.4. New rare weapon affix: "the victim emits a toxic cloud on every hits". Version 1.2.4. (Community suggestion) BossCell 0: balanced all enemy tiers (the beginning of most levels should be slightly easier, but the ending remains the same). Version 1.2.4. (Community suggestion) BossCell 1-2: enemy tiers before Black Bridge are lower, while the ones after and before Castle are slightly higher. Fixed insane Cavern difficulty. Version 1.2.4. (Community suggestion) BossCell 3-5: decreased many level enemy tiers, especially before Black Bridge. Fixed insane Cavern difficulty. Version 1.2.4. New item: remedy that reduces Malaise level (it can be bought in food shops). Version 1.2.5. Tainted flask mutation now refills 1 flask unit if it's empty and you kill X elite enemies. This X scales down with your Brutality. Version 1.2.5. You can't received more than 1 Malaise infection marker every 0.35 sec (used to be capped at 0.2 sec). Version 1.2.5. (Community suggestion) Decreased What doesn't kill me heal values. Version 1.2.5. Some very specific weapons are no longer affected by the Ammo x2 mutation (like Boomerang, Frost blast, etc.) Version 1.2.5. Extended Healing now heals 85% HP in 15 sec, it adds extra dmg during that duration. It gives a chance to drop a small Malaise remedy when killing Elites. Version 1.2.5. Updated the Hayabusa Gauntlets: they now inflict critical hits if the target has 40% HP or less. Version 1.2.5. (Community suggestion) Balanced Blade will now have increasing damage (up to +100%) as long you continuously hit something. It deals Critical hits after 10 hits. Version 1.2.5. (Community suggestion) Meat Skewer now performs 3 dashes in a row that pierces enemies in front of you. Version 1.2.5. (Community suggestion) Bosses & Elites will now get more life in higher difficulties. Version 1.2.5. (Community suggestion) Poison, bleed and fire no longer trigger the free shield related force-field. Version 1.2.6. (Community suggestion) Rapier now inflicts critical hits after a shield parry. Version 1.2.6. (Community suggestion) Added random items as rewards for some puzzle rooms containing blueprints you already have. Version 1.2.6. (Community suggestion) Enemies protected by shields can't teleport. Version 1.2.7. Balanced Pyrotechnics damage. Version 1.2.7. (Community suggestion) Hayabusa boots will now inflict extra damage to enemies pushed against a wall. The bump effect on last hit is also slightly more powerful. Version 1.2.7. Greed Shield now drops higher rewards if you own less than X gold. This number scales with your stats. Version 1.2.7. Hokuto Bow can no longer be affected by the Ammo x2 mutation. Version 1.2.8. (Community suggestion) Ammo stuck on Conjonctivius will now drop during its invincibility phases. Version 1.2.8. Shield bearer enemy is no longer stopped by cute worms or turrets when charging. Version 1.2.8. (Community suggestion) Explosive Crossbow is now about twice faster but has limited ammo (which auto-refills). Its damage & stun ability were balanced accordingly. Version 1.2.8. Heavy Crossbow now has a mini-hook when starting to charge that pulls any nearby enemy. Version 1.2.9. Added a short "soft interrupt" effect to the Hook skill (temporarily suspends enemy attack charging). This should prevent immediate enemy attacks after hooking. Version 1.2.9. New lore elements were added all around the world. Community suggestion Toxic Sewers now have 2 cursed chests instead of 1 at BC4. (Community suggestion) The exit to Ancient Sewers in PrisonDepths is now right before Ossuary exit. 2 new keys were added to Prison Depths: they will give access to a scroll (the one that used to be in this level) and extra rewards. New special rewards (including cells, gold and items) were added at the end of the Ancient Sewers. You'll need to find specific keys to get these rewards. (Community suggestion) Fixed dead-ends without teleporters in Ancient Sewers. (Community suggestion) Removed many useless empty corridors in Ancient Sewers. (Community suggestion) Fixed lore rooms generated before the middle gate in Fog Fjord. Version 1.2.1. Fixed trapped player in Sewer transition level if he doesn't have a spider rune. Version 1.2.2. Food shops no longer have a useless Reroll option. Version 1.2.2. Removed Cursed treasures from prison depths. Version 1.2.5. Fixed Ancient Sewers generation errors. Version 1.2.7. Fixed Graveyard generation errors. Version 1.2.7. (Community suggestion) Fixed lore rooms building in unfortunate locations in Stilt Village Version 1.2.7. (Community suggestion) Added some spikes on walls in Conjonctivius lair. Version 1.2.7. Updated Slumbering Sanctuary level generation: fixed some issues with paths from entrance to exit being way too shorts. Version 1.2.8. Minor polish in the Ossuary and the Sewer Depths. (Community suggestion) Camera follow speed slightly increased. (Community suggestion) Invisible mobs now appear with more clearly. when their invisibility is suspended (ie. 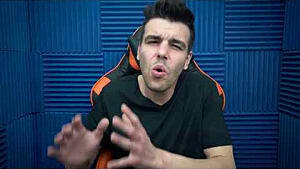 when you hit them). Their HP bar will also be visible. The Ossuary Entrance hab been pimped! Added a new cool Hand of the King death cinematic. (Community suggestion) BC4 mob teleportation now displays briefly a "ghost shade" of the mob who is about to teleport. Version 1.2.1. (Community suggestion) Cinematics now properly interrupt player held attacks. Version 1.2.3. Enemies should no longer spawn behind secret passages walls. Version 1.2.3. Added an in-game message when Malaise infection is reduced by a player action. Version 1.2.4. (Community suggestion) Invisible enemies will now become briefly visible if they use an attack or skill. Version 1.2.5. Fixed Hayabusa Boots & Gauntlets animations. Version 1.2.5. Fixed What doesn't kill me description: it only works when parrying a melee attack. Version 1.2.8. Removed useless ammo recovery animation on Infinite Bow. Version 1.2. [Custom Game] Fixed fixed seed (no more lore rooms will spawn if you enable it). (Community suggestion) Hero worms should no longer attack doors. Fixed abnormal CPU usage on some items (like Ice shards or Decoy) Version 1.2.1. Thornies are no longer allowed to teleport while rolling over your face. Version 1.2.1. Minor CPU optimizations with some weapons & mobs. Version 1.2.1. Fixed homunculus not coming back when Conjonctivius becomes invincible. Version 1.2.3. Better "in danger" detection (stuff that prevents some actions when enemies are nearby). Version 1.2.3. Fixed a bug that did reset item cooldowns for no reason, specifically when picking other items. Version 1.2.3. Fixed few exploits with ParryShield (eg. dodging to cancel control locking). Version 1.2.3. Fixed an exploit with all shields (except Assault Shield) that allowed control-lock canceling by using dodge while holding the shield up. Version 1.2.3. Kicking away a grenade from a Bombardier BEFORE it explodes will no longer generate 3 smaller grenades. If you kick/parry it away after the explosion, it's still too late. Version 1.2.3. The Crusher now has gravity, woooo! Version 1.2.4. Fixed "!" missing on Lancer Version 1.2.4. Fixed the control lock duration after using a shield. The total lock duration should be constant for all shields. Version 1.2.4. Kamikaze bat no longer triggers Necromancy. Version 1.2.5. 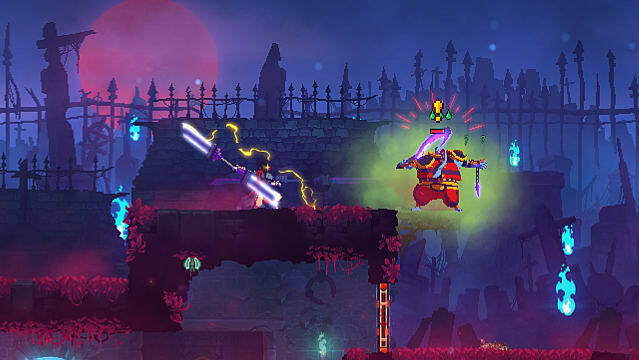 Fixed incorrect affix description "Bleed on parry" (which was previously labeled as "Burn on parry"). Version 1.2.8. 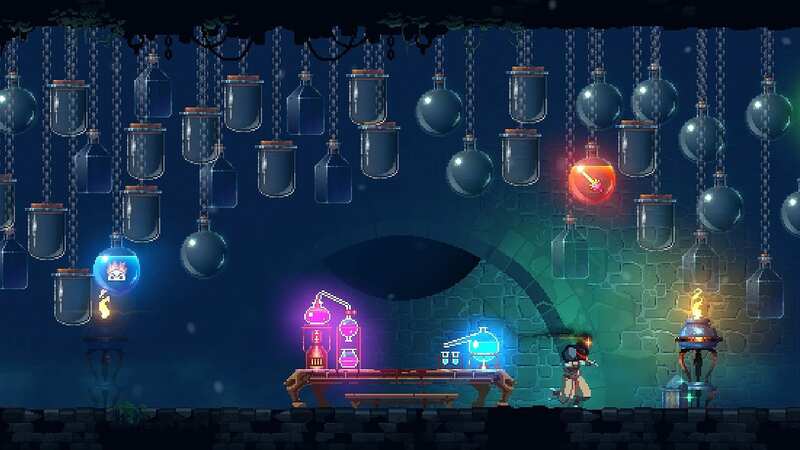 Killed tentacles that could remain in the level after a Conjonctivius battle. Version 1.2.8. 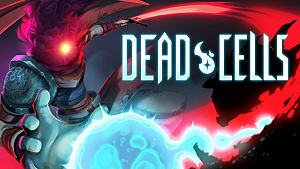 Whether taking advantage of the game's Steam sale and getting into Dead Cells for the first time or coming back as a seasoned expert, our Dead Cells guide portal has everything players need to stay alive as long as possible.